SAM Broadcaster - Professional Internet broadcast DJ software. The most advanced broadcast automation solution that has been developed specifically to fully meet the specialized needs of online broadcasters. 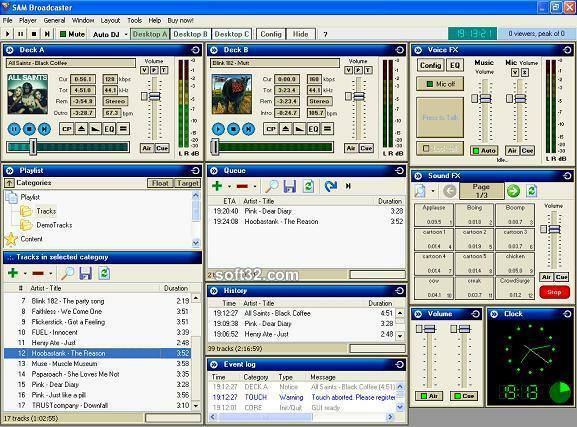 SAM Broadcaster allows you to create an instant online radio station. Download it, and you are instantly able to create, broadcast and record radio shows. It works well for bedroom DJs wanting to get their sounds out there, whether just to their friends or to a wider audience It has a vast array of features which are designed to turn any home PC into a radio station. And it does it well. It includes the ability to beat match music tracks and fade them in and out. You can preview tracks before you air them, and queue them up as you go. You can integrate SAM with the media library on your PC, and even allow your listeners to see what you're playing and make requests from your library. You can even try and make some money by allowing listeners to click through to Amazon to buy the tracks you're playing. 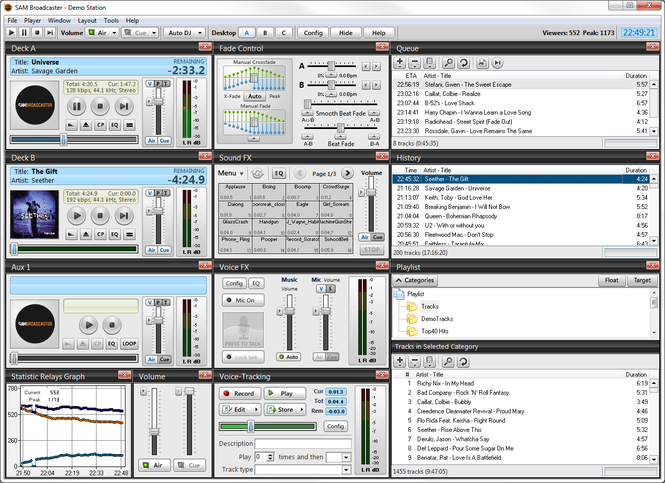 Pros: feature-packed, professional radio station software for everyone from beginners upwards. Cons: a fairly hefty price-tag of $299 once the trial runs out, but worth it for what you get. Conclusion: SAM broadcaster allows anyone to fulfil their radio DJ dreams. It really is a pretty remarkable piece of software, and entirely usable by beginners. It will automate what you need it to, and allow you to tinker with those things you don't. Those with some familiarity with beat-matching will find it easier to use, but anyone with the patience to learn could pick it up and broadcast. Would you like to update this product info? Auto-Tune Evo VST 6.0.9.2 Corrects vocals or solo instruments.